When you hear about a disruptive innovation in business, they’re typically referring to an innovation that creates a new market and value network. There is obviously more detail to it than that – and it has been referred to as the most influential business idea of the 21st century - but it got me thinking about the Section 101 music artists that have stretched their creative juices to create a valuable brand extension in interesting, effective and authentic ways. Of course, there are always artists that are known for pushing the envelope, but it is the ones that quietly develop a new “solution” for themselves and their audience that deserve a lot of credit. *Duran Duran have always been innovators –fashion, visual and stylistic trendsetters whose music leaves a distinct imprint. What better way to celebrate four decades of their work than with a perfume line developed with Brooklyn based perfume house D.S. & Durga ? The band have created four scents to represent each decade of their 40-year career: HUNGRY LIKE THE WOLF, (1982) smells like it sounds, COME UNDONE, (1993) immaculate dream made breath & skin, SKIN DIVERS, (2007) love in an aquatic landscape and YOU KILL ME WITH SILENCE, (2015) cold, silent northern woods in torment, smoke and ice. The perfumes are available exclusively at Liberty London. *Jonatha Brooke took time from her recording career to write “My Mother Has Four Noses,” which New York Times critic Laura Collins-Hughes called “Devastating and gorgeous. A poignantly funny, beautifully created narrative." The theatrical production debuted at the Warner Theatre in Torrington, CT and then opened Off Broadway at The Duke on 42nd Street, running for ten weeks. A love story to her mother, who was diagnosed with Alzheimers, 4 Noses is moving, funny and heartbreaking, and a natural extension for Jonatha. *Pentatonix had released several chart-topping albums when they realized their fan base would embrace holiday music with as much energy as the other covers the band was doing. 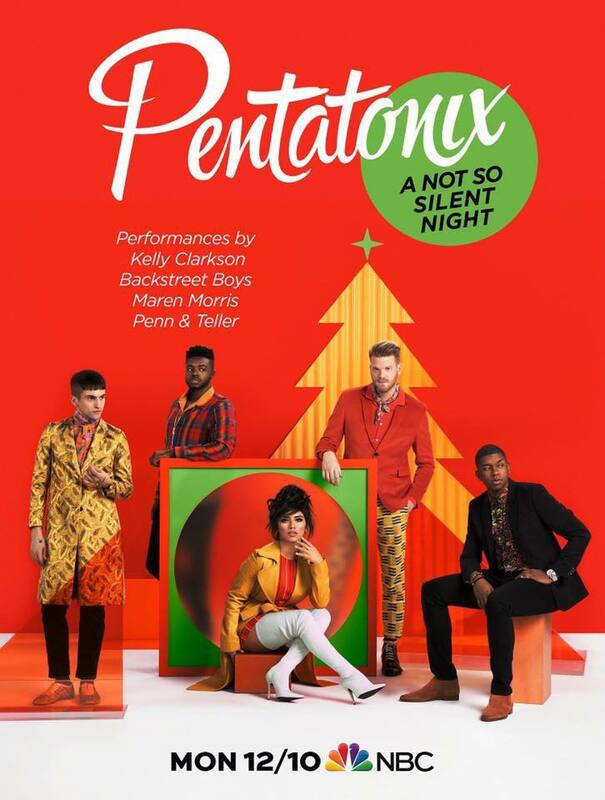 In 2014, the group released their first seasonal album, THAT’S CHRISTMAS TO ME, followed by A PENTATONIX CHRISTMAS in 2016, which hit #1 on the Billboard Top 200 chart and also yielded a deluxe version of the album with 5 additional songs. The group just released their third holiday album, MAKING CHRISTMAS, resulting in another Billboard hit for them. They have another televised Christmas special airing on NBC and, of course, their annual holiday tour with 17 dates up and down the US. *Aimee Mann is not only known for her deeply felt music, lyrics and political passions, but also as a frontrunner for artists establishing their own music labels. Her SuperEgo label debuted in 1999 and all Aimee Mann records have been released via the label since. She recently revealed that she is working on the music for a stage adaptation of Susanna Kaysen’s memoir Girl, Interrupted as well as with Jonathan Marc Sherman, a playwright in New York, on her own project.